Some Pig developed and maintained the website for Sina Pearson Textiles from 2001 until its 2016 acquisition by Momentum Group. During that time, Sina Pearson textiles designed and distributed upholstery fabrics for the contract, institutional, hospitality, healthcare and residential markets. Over sixteen years, Some Pig acted as an outsourced technology and communications department; they developed two versions of the website (the original and a Drupal-backed version), and provided maintenance, support for marketing emails, office technology, and social media. Nancy Reynolds Associates, Inc. serves the commercial, healthcare, hospitality, and government Architecture and Design communities in the State of Florida. Operating since 1992, its team has more than 45 years of experience in design, project management, and furniture specification. Some Pig provided a new, mobile-responsive site with a detailed product selector, a blog, and a refreshed look. Some Pig provides print design and layout, and manages the advertising for the American Harp Society’s semi-annual American Harp Journal. 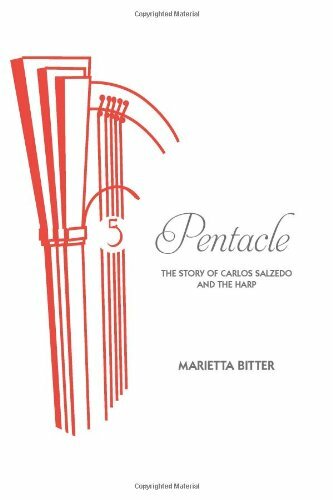 In 2011, Some Pig provided graphic design and production management for Pentacle: The Story of Carlos Salzedo and the Harp., a biography of the 20th Century harp pioneer by former student Marietta Bitter. From 1991 to 2003 Rob Johnston worked for the Peter F. Drucker Foundation for Nonprofit Management (later called the Leader to Leader Institute and now the Frances Hesselbein Leadership Institute). Rob led the editorial development of books, workbooks, educational conferences, videos, email newsletters and websites. Rob also held management roles including Vice President of Program, and President, 2001-2003. In 1996, Stacie Johnston developed the first website for the Contemporary Music Centre, Ireland as the final project in an Internet technologies course at New York University. That site was adopted by the Centre as its first Internet presence and Some Pig has maintained the CMC sites through 2015. Work for the Contemporary Music Centre included developing two websites, tying the Centre's in-house database to the site, sharing information on Irish music, composers, and performances. As a long-term vendor to the Centre, Some Pig provided website continuity across changes in personnel. That continuing relationship and close knowledge of the Centre’s work ensured consistency across twenty years.